Are you someone who has a hard time making decisions? Maybe it takes you forever to figure out what you want to do, where you want to go, what job to take, what to wear, who to call, etc. You over analyze every decision and drive yourself, and your other half, crazy. There are a few reasons why you could be having trouble making decisions. The first could be the perfectionist inside you. Indecisiveness is a common struggle for the closeted perfectionist. 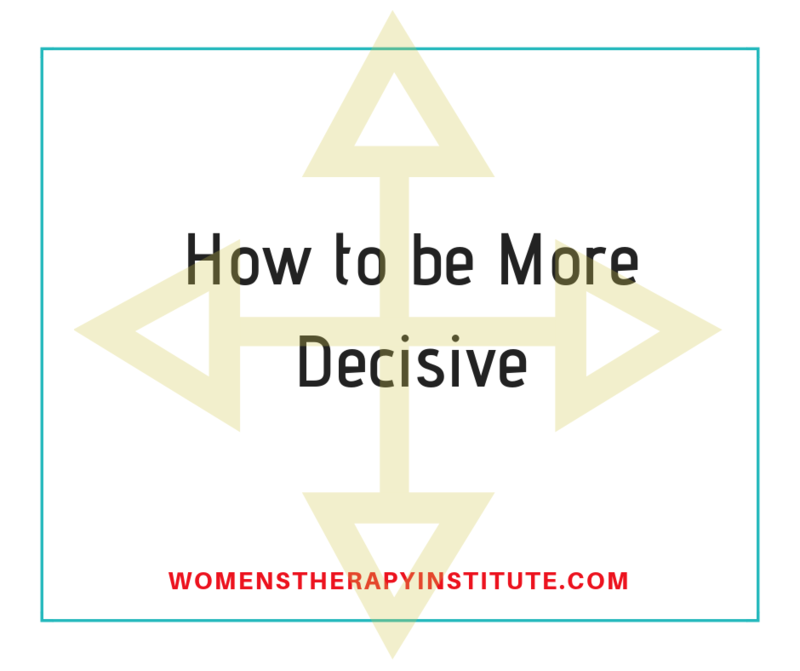 When clients come to me with this concern, I am always curious as to where they learned these indecisive tendencies — maybe they have regrets from a decision they previously made, or maybe they learned it from a family member when they were growing up. Did you have a family member who was overly-critical of you or your decisions when you were a child? Or was there someone in your life who was always over-analyzing? Was there someone you felt like you could never please? If this was the case then you first have to accept that you cannot please everyone. Every aspect of yourself cannot be perfect. No one is going to love every single thing about you. That is what makes us humans, not robots. Accept yourself and find confidence in your decisions. Therapy can help you let those overly-critical people go and set yourself free. If you made a decision in the past you are not proud of and it has left you fearful of making a mistake again, let go. Forgive yourself. We all make mistakes, but that does not mean that we can’t learn from past decisions and trust ourselves to make better choices next time. Mistakes are opportunities to learn, to figure out what works, and what doesn’t. Therapy can help you forgive yourself and regain your confidence. Not every decision is etched in stone. In fact, very few decisions are. You can always pivot, and make changes. For example, you decide to get a tattoo and you have grown to regret it, you can always change it, add to it, or pay to get it removed. Or, maybe you took a job that is requiring more travel than you intended, you can always find a new opportunity to switch positions. You can evaluate your situation and adjust accordingly. The big mistakes happen when we let our unconscious selves make smaller mistakes. Rather than avoiding decisions or being fearful of making mistakes, evaluate briefly and let yourself take the step that seems right at the time. Big decisions are made up of lots of small ones. We are all on paths through life composed of thousands of mini-decisions. There will be good and there will be bad, there will be regrets, and there will be triumphs. They all lead us where we are meant to be. They help us to grow as people, to learn, to become wiser adults. Research from neuroscientists around the world point out some of the reasons why this phenomenon exists and it comes down to multitasking and decision fatigue. From the moment moms wake up to the moment they go to bed they are faced with question after question, tasks to be done, decisions to be made. If you have young kids chances are you often feel like your head is moving in a 100 different directions at one time. All of the stuff we are taking on on a daily basis is causing us to miss things, make mistakes, forget next steps. But, it’s not all bad research shows that our brains change after having children to be more responsive to our children and aware of their needs. Unfortunately, that doesn’t make it any less exhausting. So what can we do to improve our “mom brain,” and improve our emotional health as parents? Start by implementing processes to minimize decisions. Establish routines and things will become commonplace rather than something you have to think about. For example, every night before you go to bed take care of lunches, clothing options, etc. Have the kids make their beds before they leave their rooms. Have them decide what they want for breakfast, and ask for their help in making lunches/breakfasts the night before. If you have school-age kids put a note on the front door to remind them of the things they need to bring to school with them and leave it up to them. Have them get in the habit of getting homework out and giving you all notes from teachers the second they get home from school. It is these small steps that can help minimize decision fatigue. Eliminate the dreaded meal choice by putting dinner options in a bag and having the children pick from it. Plan meals out on Sunday so you don’t have to worry about them the rest of the week. Stop trying to please everyone. Have those who complain about their meals make their own food. Remember lists are your friend. Use them. Write down what you need to accomplish for the day or the week and then you will feel like you have less running through your head. Organize your days and your thoughts will follow. 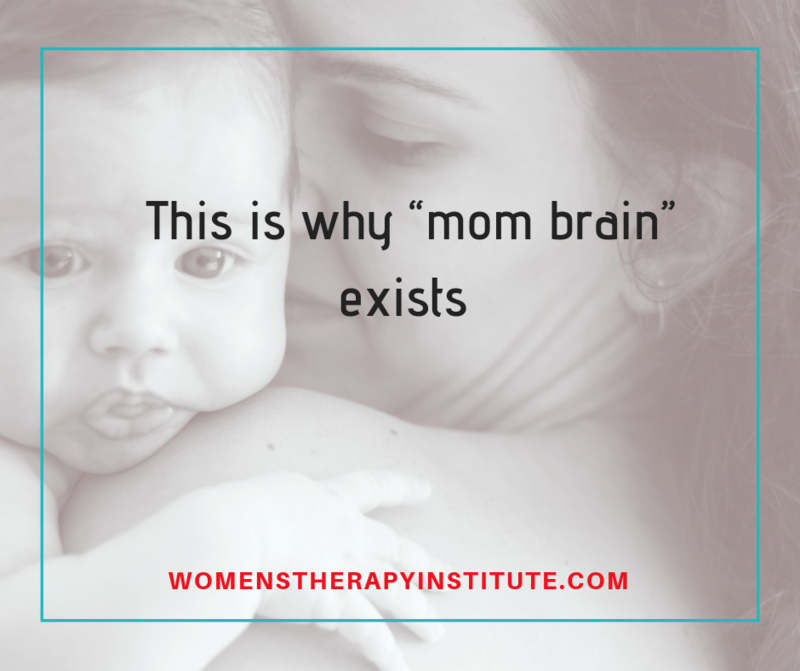 Acknowledge that “mom brain” actually does exist, and understand you are not alone. Every mom is struggling to keep on top of everything (even if they look like they have it all figured out). It is ok to ask for help (in fact, it’s encouraged), and take time to care for you. Feel calm and grounded so you can face the challenges of your day with a sense of ease. Sign up for our free ebook and you’ll also receive our newsletter in your inbox. 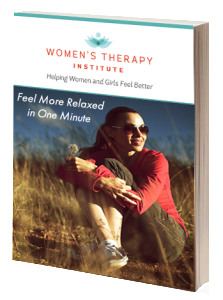 © 2019 Women’s Therapy Institute. All rights reserved.